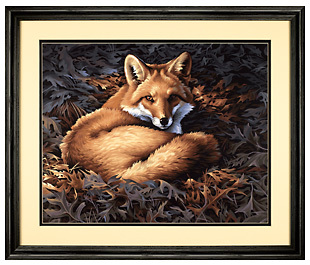 Nestled in fallen leaves, a bold red fox captures your gaze. This dramatically illuminated scene is created using 17 acrylic paint colors both singly and mixed together. Our kit includes a printed textured art board, artist's brush, paints, and complete instructions for recreating this compelling design.